To mark the 70th anniversary of the beginning of World War II in Southeast Asia, the Tiong Bahru air raid shelter is open to the public for the first time. 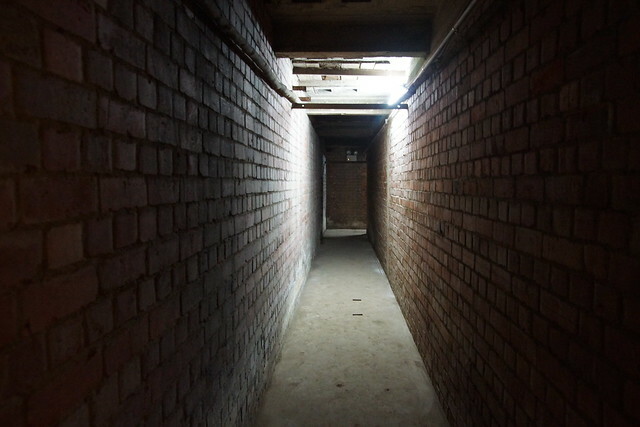 Located at Block 78 Guan Chuan Street in one of Singapore’s oldest public housing estates, the facility is believed to be the last civilian air raid shelter on the island. When the Japanese bombarded Singapore between December 1941 and January 1942, residents in this area dashed here for cover. Singapore fell to the Japanese on February 15, 1942. Two guided tours, each lasting an hour, take place every Saturday at 10am and 11am in February, with each tour accommodating a maximum 25 participants. The February slots are already full, but I hear that March slots have been open. So you can still try your luck to register by emailing [email protected]. The tour starts at Tiong Bahru Market, where there is a showcase of various news articles from the pre-war years. The term “air raid shelter” was used loosely in those years. An open trench or a space under a staircase could be considered one. Apparently, the colonial government told people to run to an open area and lie flat on the ground in the event of an attack. 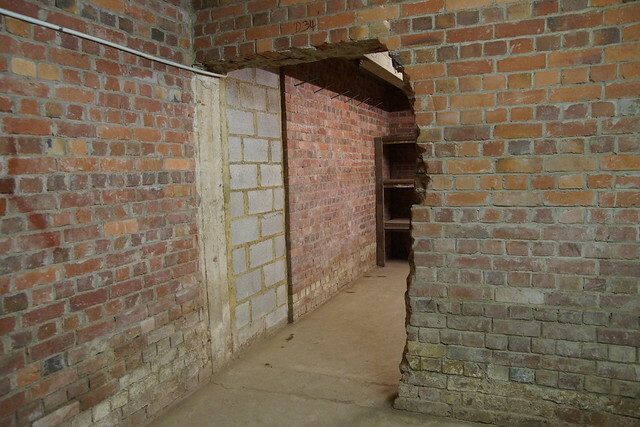 Obviously the suggestion was not very well received, so various vendors including Alexandra Brickworks started offering air raid shelter construction services. In 1938, Block 78 was built by the then Singapore Improvement Trust, the colonial predecessor to the Housing and Development Board. It was believed to be the only public housing to incorporate an air raid shelter. 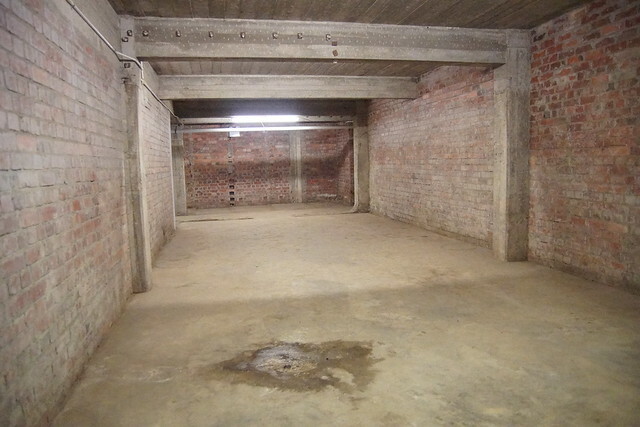 The basement shelter is about 1,500 square metres in size, equivalent to the size of 13 five-room flats. No dumping is allowed at this piece of national history. But here’s the irony. Apparently before it was recently open to the public, it was used to store rubbish bins by the Tanjong Pagar Town Council. This is the old entryway used by residents back then. It wasn’t as dark originally as there were skylights, which have since been cemented along with the entrance. Back then once the first planes are seen in the sky and the sirens were heard, families would grab their kids and run through here to safety. Apparently, the Japanese dropped bombs that landed in Tiong Bahru because they missed their target at the Singapore General Hospital! 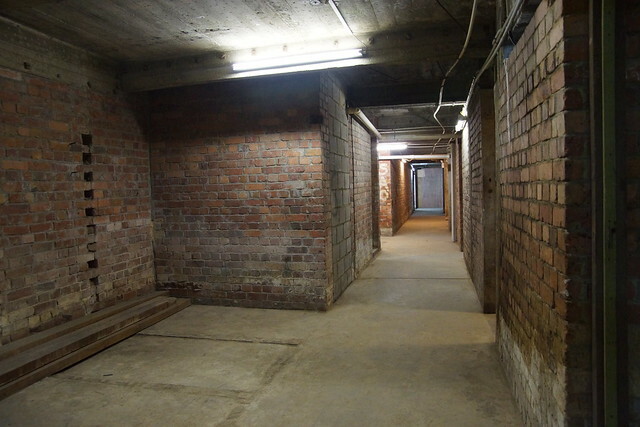 The first thing that hits you when you enter the air raid shelter is not the sight of the exposed brick walls, but the musty smell. The guide already warned us beforehand that the ventilation isn’t fantastic. And it’s not hard to see why. For such a huge shelter, there aren’t that many windows. In fact, we only spotted these tiny windows in a few rooms. Apart from that, much of the shelter with its many rooms and narrow corridors is enclosed. It is worth noting that all fluorescent lights were retrofitted. So without windows and lighting, the bunker was very dark originally. Some of the old bricks from Alexandra Brickworks can be seen. If you have watched the movie Life is Beautiful, you may find this photo above familiar. In the movie the Jewish in the Nazi death camp slept on beds like these. But over here, no one knows for sure whether these wooden shelves were used as bunk beds or storage. “BHS” probably stands for Bukit Ho Swee, which is strange because it is a fair distance away from Gong Chuan Street. I have no idea what this metal/wood structure is. Leave a comment if you do! These photos can be found pasted on one corner of a wall near the ceiling. They look to be in good condition. I can’t tell if they were there since the 1940s or much later. Do you recognise the stars in the photos? Can you tell what these are? The video below includes accounts of the Pereira family who sheltered here during the war. It just feels so strange to be walking through an air raid shelter right here in Singapore, imagining what life was like back in those wartime years. Most of us have never experienced war, and have known only peace throughout our lives. But only a couple of generations before, our predecessors had to live in fear about bombs and enemy attacks. The only reason why we are better off than the people back then (and the people in any war-prone nation now) is the fact that we are lucky enough to be born at the right place at the right time. A humbling experience and a reminder of how fortunate we all really are. Do you have any story to share about the World War II? Share all your thoughts via Facebook or Twitter or by leaving a comment! Yup. The National Heritage Board is organising a string of events and exhibitions to commemorate the 70 years since the fall of Singapore. You may wanna check those out. That is so interesting but eerie at the same time. I have visited the BattleBox in Fort Canning which reminds me of that. It does evoke an uneasy feeling when you are in there, although this place was a safe haven for hundreds of people in those years. Thanks for sharing about the Battle Box at Fort Canning. I plan to visit a number of these historic wartime locations soon. If you are an iPhone user, you can download the Battle for Singapore free app which has a number of trails to follow. Each time you visit a venue, it will be unlocked on the map (via your phone’s GPS). I must say this is somewhere I really wanted to go and thanks a lot for featuring it! I emailed the same address you mentioned the moment news of this tour was up on their website, but the same person took more than a week to get back to me, only to tell me that it is fully booked. She suggested another tour date in March and did not get back to me as well, I called and there was also no answer. I guess I shall forget about the guided tour and explore the place on my own based on your review! The newspapers ran articles on the tours, which is probably why so many people signed up. The guide told us that they would try to get the location from April onwards, so hopefully they can accommodate more tours. Meanwhile, perhaps you can try to email NHB again for a March slot? It’s strange that they didn’t get back to you because they responded to our emails pretty swiftly. Having said that, I think I covered most of the interesting finds in the facility in the photos above. The time we spent in the shelter was pretty short, but I think it can be considered a once-in-a-lifetime opportunity. Thank you for sharing this! I chanced upon your post while looking for materials to put together a scavanger hunt for my kids! We live in Tiong Bahru but have never been in the air raid shelter but have peeped in once when the door was unlocked – it sent shivers down my spine! !